Ivan Rodriguez will announce his retirement, Clark Spencer of the Miami Herald reports (on Twitter). The announcement will take place with the Rangers on Monday, the team he started his career with. Rodriguez, 40, spent last season with the Nationals, hitting .218/.281/.323 with two homers in 137 plate appearances. That does not do his Hall of Fame caliber career justice, however. Pudge is a .296/.334/.464 career hitter with 2,844 career hits and 311 homers. He's a 14-time All-Star, a 13-time Gold Glove award winner, a seven-time Silver Slugger award winner, and the 1999 AL MVP. He finished in the top ten of the MVP voting three other times. During his peak from 1998-2004, Rodriguez hit .322/.363/.538 with 162 homers. He played in 878 of 1,134 possible games, roughly 125 per season. Among catchers, Pudge ranks first all-time in hits (2,844), first in doubles (572), seventh in homers (311), fifth in RBI (1,332), and third in WAR (74.1). Thirteen of his 21 big league seasons were spent with the Rangers, but he also played for the Marlins, Tigers, Yankees, Astros, and Nats. 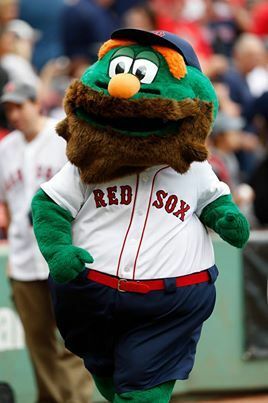 Pudge helped Florida to the 2003 World Series title. Rodriguez earned over $120MM during his career according to Baseball-Reference.com. His $8.5MM annual salary from 1999-2002 was the second highest annual salary for catcher in baseball history at the time. 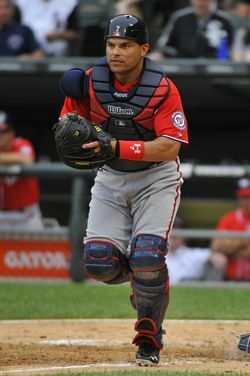 He was the highest paid catcher in baseball during the 2006 and 2007 seasons at $10MM each year. That’s why he wanted to play. It’s not his decision that he’s retiring. It’s that no one wants him. It doesn’t seem that that is the case with Magglio Ordonez, JD Drew, Vladimir Guerrero, or Hideki Matsui. Not close enough… he’s only got enough left in the tank to play as a backup, 1-2 games a week catcher, and it would probably take 3+ years for him to get to 3,000 at that rate. Same with Bill Buckner.. All these guys who got close just tried to hang on, but couldn’t get to that magic 3k number and all but Damon finally retired rather than embarrass themselves by begging. That’ll do, Pudge. That’ll do. MLB just isn’t the same without a pudge in it. Who’s the next catcher to assume the famed nickname? I was thinking maybe Wieters if he fills out some more. Would keep the offensive aspect alive. Physically, definitely Jose since Benji retired, good call. Time to move Pablo Sandoval back. NO PUDGE :( at least he retired as a nat. Pudge is retiring as a Ranger. Why wait until May? Coincidence? Mike Cameron did it with Seattle, but no one really cared. With him retiring mid-season, what year would he be eligible to enter the Hall? Is it 5 years after the season in which you played your last game? That second base thing just is not true. He was moved to second for one game, in mid-game, because Polanco injured himself diving for a ball. He had an attitude, but he never started a game at 2B. Hmm he went from 5’8 160 when drafted to 5’8 210 his second year in the league. I remember owning a baseball card where he had on like some sleeveless shirt and looked 3 times bigger than he was the year before. It was also right around the time McGwire and Canseco were using, AND when Juan Gon and Raffy started hitting bombs, and oh those 3 were on the same team! Coincidence? I think not. No, you’re right. Gaining FIFTY pounds is physically possible.. I’ve been a weight lifter/non-competing bodybuilder for 10 years and my physique is twice as good as it was 6 years ago and I still didn’t gain 50 pounds. Plus, I was referencing a two year period, not 5. My physique is half as good as it was 6 years ago and I did gain 50 pounds. Most 16, 17, 18 year old athletes are still growing. You have no proof of anything. but but but….he played with users!! Hmmm ever seen Vlad and Ortiz’s rookie pictures? Pudge was 19 and still growing. Seeing all the catchers on teams in the MLB, it is kind of amazing that Pudge didn’t get a job… Either way thanks for the Hall of Fame career, Ivan. He’s an interesting case, I can’t wait to see how voters react when he’s HOF eligible. He was a great hitter and an ok power hitter but I recall him more as an unbelievable defender. Does the threat of steroid accusation take away from that as much as a home run hitter? Best of luck to Pudge either way. Threats of allegations hold little water. Now those are pretty cool. But no one reputable ever accused Pudge. Juan Gonzalez wasn’t good enough anyway. Pudge has never been accused of using steroids. He was not in the Mitchell report, like most of the players that used in that day. He will not be questioned when he’s eligible. First ballot all the way. The one thing that wasn’t mentioned in the summary is his defensive prowess. A reference to his career caught stealing percentage (46%!) would have been a nice touch. Pudge, the greatest catcher to have ever worn a Rangers uniform. Mike Napoli is the only good “catcher” we’ve had since Tom F. Hicks and the Empty Gold Shirt let him go to Florida. But I was happy for him, though, since he got a ring. Something he would’ve never gotten with the Rangers in those years. But darn, Einar Diaz, Gerald Laird, Rob Barajas, Jarrod “can’t throw back to the pitcher” Saltalamacchia, and even good buddy Ken Huckabee. That’s a lot of mediocrity. Nobody could possible replace Pudge’s bat and glove, but talk about punishment for letting the greatest Rangers catcher go. But, here’s to you, Pudge. Enjoy retirement. Every now and then we’ll reminisce about the dozens of guys you threw out at first, and those will be sweet memories. There isn’t even a question. Pudge is a top 5 catcher in MLB history. That puts him head and shoulders above any of them. I grew up watching Pudge. He gave me about 1/4 of my childhood memories. I’m sad to see him retire, but i’m excited to see him heading to Cooperstown in the near future. Pudge is my all time favorite baseball player. I’m very sad and I hope he has a good retirement. It would be great if the Rangers could sign Pudge to a one game contract and let him have one last game as the Rangers catcher. Win or lose–I’d really love to see that. I wish we would sign him for the season and let him play every few days. I have a gut feeling about this season, and I want my favorite player to be a part of it. Great career Pudge! See ya in the HOF. He was a great defender, but think he might have taken advantage of the steroid era to help his offence. Never been found guilty of using, and only been accused by Canseco. He deserves the HOF. I-Rod was arguably the best defensive catcher of his era, and even with a league average bat he’d be a Hall of Famer. Best wishes to Pudge on his retirement.